Hollywood actress Toni Collette and fellow Golden Globe winner Damian Lewis are to star in a film about Welsh racehorse Dream Alliance. Collette will play Jan Vokes, who raised the horse on an allotment before starting an ownership syndicate of Cefn Fforest Working Men's club members. 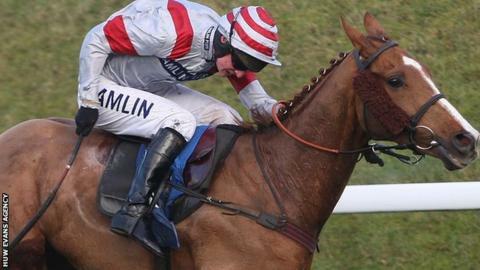 Dream Alliance went on to win the 2009 Welsh Grand National after stem-cell surgery to repair a tendon injury. Lewis will play accountant Howard Davies, who helped form the syndicate. Collette's role as barmaid Vokes will be central to the big-screen version of the story with the film's publicists saying it is "a tale of how a woman strives to make her dream a reality in a place where hope is thin on the ground". Lewis is star of television series Billions, Homeland and Band of Brothers while Collette's career includes Hereditary and Velvet Buzzsaw. Dream Alliance's mother was bought for £300 and he won £138,000 in prize money. Born just 30 miles from Chepstow racecourse on land next to Blackwood Rugby Club, Dream Alliance was owned by the group of people who each paid £10-a-week for his upkeep. In a rags-to-riches career, Dream Alliance won the 2007 Perth Gold Cup among five triumphs in 30 races. The tale has already the subject of the 2017 sports documentary Dark Horse. Welsh filmmaker Euros Lyn will direct the big-screen version, with filming in Wales due to begin soon. Lyn said: 'I grew up in the Welsh valleys where everyone knows this story - it's a local legend." He added: "Casting Toni Collette as Jan Vokes, our extraordinary heroine and Damian Lewis as Howard Davies, her intriguingly conflicted accomplice is my own dream come true."